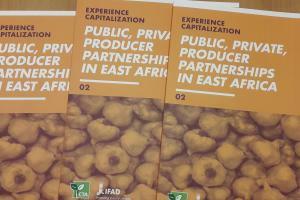 IFAD’s East and Southern Africa division wanted to describe and analyse the activities and results of the Public, Private, Producer Partnerships (4Ps) in the value chain development projects in the region. We were asked to submit a proposal, and to prepare a training process with representatives of those projects being implemented in Tanzania, Rwanda and Uganda. The main goal of this proposal was to develop the necessary skills among the stakeholder institutions to start and complete a capitalization process. 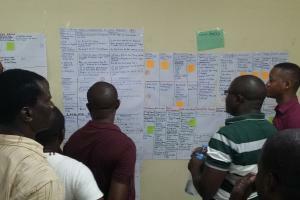 The project offered to organize a workshop as part of a longer process, and to support the different projects in their efforts to describe and analyse their work, the results, outcomes and impact, and to share the main lessons learnt. The workshop took place in Kigali, between the 13th and the 16th of December, 2016, with participants from Tanzania, Uganda and Rwanda; while the second meeting took place in Arusha, together with the meeting with the EAFF representatives. Both cases followed the same method and approach tried elsewhere, although with a larger number of participants. 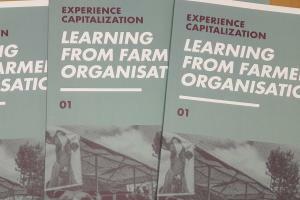 Once again, this followed a “learning by doing” approach: participants were invited to start an experience capitalization process, and not just to discuss the concepts, principles and methodology to follow. During the first meeting, the different sessions covered the basic concepts, principles and conditions and the general method to follow, building on the information included in the FAO “learning module”. We looked at the need of planning the whole process (with clear objectives, and identifying participants and ensuring that they do participate throughout the process) and at the necessary logistics (a venue, transport and accommodation, etc.). Participants were asked to select the experience that wanted to describe and analyse, thinking of a case that would meet a few conditions: one that they know very well and for which there is sufficient information, one which has the potential for sharing lessons, and one which is particularly interesting, and for which there “is demand”. The next step was to describe every case, and then to analyse it in detail. 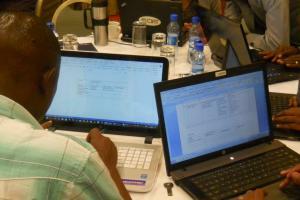 Using a set of tables, participants were able to collect information and to “tidy it up” – and the use them to prepare afirst draft. These were all shared with CTA, as first versions of a future article. With these first documents ready, the process continued in a second meeting, where we looked at the need to reach out and bring the results of a capitalization exercise to a broader audience, for which it is necessary to prepare a communications strategy. We saw that this starts by identifying the target audience, distinguishing between the different groups of people that can be reached, and focusing on their specific characteristics (in particular their knowledge, attitudes and practice). A next step was to look at the possible products, considering that written products are not the only option, and then to look at the possible channels to use. As mentioned, this depends on the size of the intended audience and the possibility to interact with them. The session finished with a discussion on the need to get feedback, seeing if the communication strategy is on track. 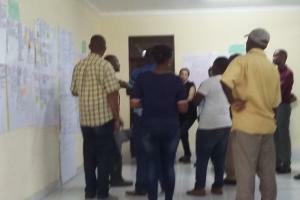 Most participants started collecting information during the first workshop, and most of them prepared a first draft document before coming to Arusha. 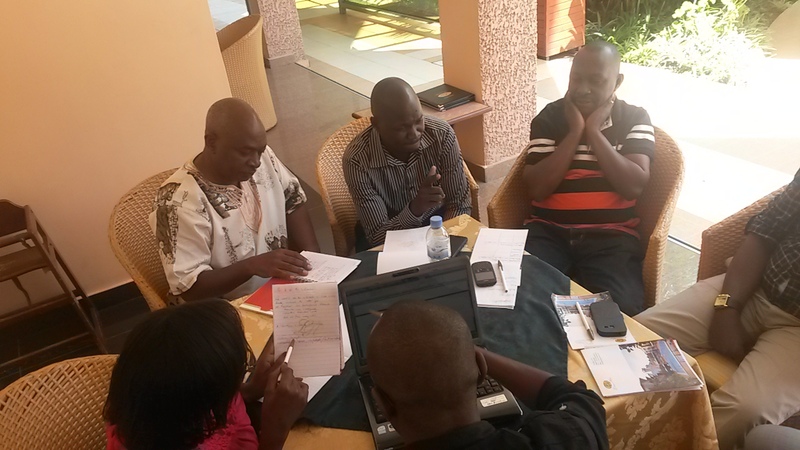 On the basis of the progress made, we discussed the main issues to take into account when writing. This started with a few principles (e.g., texts have to be legible, concise, appealing and rigorous), and then we looked at the best way to go about it. Participants shared some of the difficulties they experienced, while we also looked at the need to (i) include dates for all activities and figures (data) that show results, (ii) add quotes, showing the opinions of those involved, (iii) add a short case study, building on what is shown on a photo, and (iv) remember the experience’s uniqueness throughout the text. 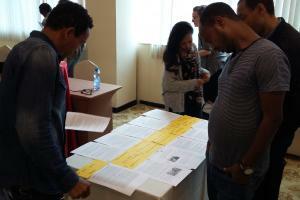 Participants were given time to complete their texts, and received individual advice. A next step was to look at the need to encourage the use of the results of the process. 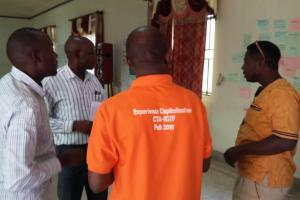 Participants recognised that the purpose of an experience capitalization process is not to identify good practices, nor just to publish a document. 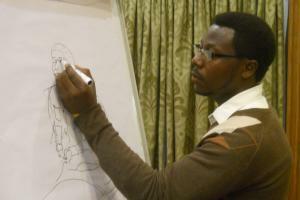 After sharing the main lessons learnt, the purpose is to see them being used, and in this was having a larger impact. We talked about adoption and adaptation, looking at a process which is not automatic and which does not “happen while you sleep”. We looked at the innovations themselves and at the conditions they must fulfil for being adopted (like compatibility, social acceptability), and also at the external and internal factors involved. Next, we discussed the need to prepare for scaling up, looking at the main “drivers” and “spaces”. This was all seen as ideas to consider when preparing an action plan. 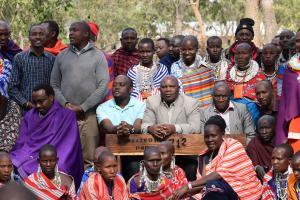 Next, we looked at the need to institutionalize the approach, as the main objective of this project. 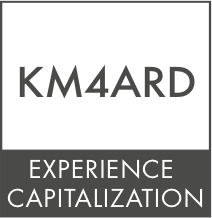 This followed the discussion on adoption and scaling up, but focused on the adoption of experience capitalization as a process (and not just of the lessons drawn) and on the need to create the conditions necessary so that “it is more than a one-time effort”. We looked at the general conditions which are needed for such a process to start (resources, participants, a critical attitude) and at the “finish line”: what do we see when an approach is institutionalized? Participants discussed the need to have procedures and methods in place, to have clear roles and responsibilities, or also to have a training scheme. They also looked at the need to show results. next, we looked at the main conditions needed, such as clear support, skills, specific information, and they all used this information to complete their action plans.